Coming this September: THE VIETNAM WAR by Ken Burns and Lynn Novick. A ten-part, 18-hour documentary film series in an immersive 360-degree narrative like never been seen before. Featuring testimony from nearly 100 witnesses, including many Americans who fought in the war and others who opposed it, as well as Vietnamese combatants and civilians from both the winning and losing sides. 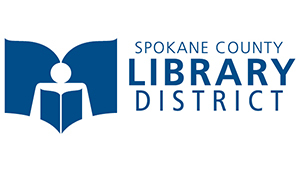 To compliment this great series, KSPS is also hosting several community events including short screenings of the program, live forum discussions and is bringing The Wall That Heals to Spokane Valley's Mirabeau Point Park. THE VIETNAM WAR is a production of Florentine Films and WETA, Washington D.C. Directed by Ken Burns and Lynn Novick. Written by Geoffrey C.Ward. Produced by Sarah Botstein, Lynn Novick and Ken Burns. KSPS support is provided by Eastern Washington University, MacKay Manufacturing, IRS Environmental, A grant from WETA and Northern Quest Casino. The Wall That Heals is a replica of the Vietnam Veterans Memorial, along with a mobile Education Center. Volunteers are needed. Together with Eastern Washington University, KSPS is producing a series of free forums to revisit the Vietnam War prior to the debut of the documentary.